Saturday was an action packed day of racing at the Soboba Casino in San Jacinto, CA during the SCSDA’s “Mayhem at Soboba” event. Jimmy Depasse set the sand drag world on fire with a blistering 2.69 ET to earn the A/Pro Jeep record & earn the title of “First Jeep in the 2.6’s. The 2.69 would earn the #1 qualifying spot in Pro Mod Unlimited for Depasse. 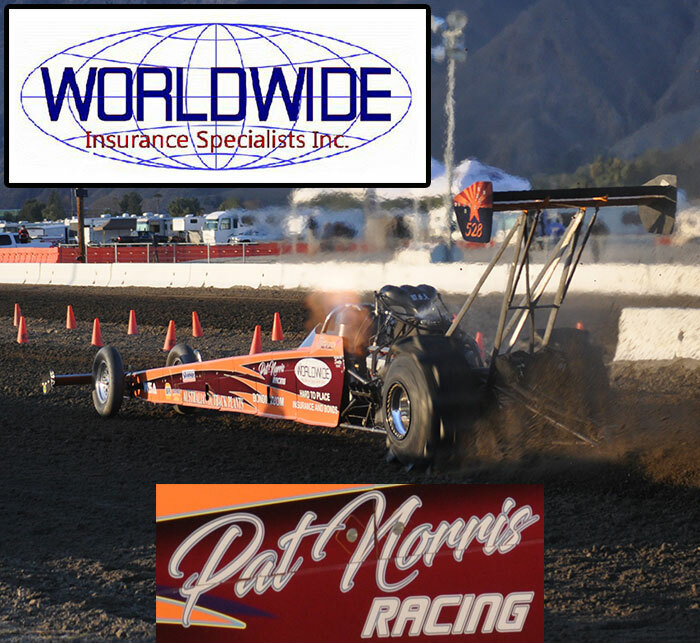 Another potential World Record could be set as Robert Skidmore ran an incredible 2.682 ET in his Fast Fours Dragster. He has to record a backup run within 1% during eliminations to lower his current ET record. Gary Mink continued to be “Bad to the Bone” even after missing the first two qualifying sessions and unloaded a huge 2.44 to earn the #1 qualifying spot in Top Alcohol. Top Eliminator qualifying was dramatic with Paul Taylor being the last car down the track and stealing the top spot away from Jim Rossi with a great 2.957 on the 2.95 class Index. There was some exceptional racing in the bracket classes on Saturday highlighted by the Larry Minor Jeep Shootout, where Steve Winn turned on the win light to take the $2000 first place purse. Justin Adamson piloted his Jeep to the Pro Gambler victory while Mark Ratliff turned on the last win light in the Motorcycle Gambler. Sportsman class winners on Saturday were Kevin Cambridge (Sportsman 1), Wes Gilmore Jr. (Sportsman 2), Joey Weaver (Motorcycle Sportsman 1), and Jack Vandigriff (Motorcycle Sportsman 2). Racing action wraps up on Sunday with eliminations in the Heads-Up and Pro Bracket categories. For more results and the NSDN Live Stream Links click “Read More”.